Canada says it is seeking consular access as soon as possible to a former Canadian diplomat who has been detained in China. Michael Kovrig was held on Monday by the Beijing National Security Bureau. His current employers, the International Crisis Group (ICG), say they are concerned for his health and safety. Canadian officials say the reason for his detention remains unclear. They do not know where he is being held. Canadian Foreign Minister Chrystia Freeland said on Wednesday the case has been raised directly with Chinese officials. News of Mr Kovrig’s detention came days after Canada arrested Chinese telecoms executive Meng Wanzhou. Ms Meng, Huawei’s chief financial officer, was released in Vancouver, Canada on Tuesday on C$10m (£6m; $7.4m) bail. She was arrested on 1 December and could be extradited to the US to face fraud charges linked to the alleged violation of sanctions on Iran. China has demanded that Canada release Ms Meng or face consequences. Ms Freeland says that Chinese authorities did not describe the situation with Mr Kovrig as a reprisal. She also confirmed during a news conference that her department is aware of a second Canadian who recently reached out to Canadian officials because “he was being asked questions by Chinese authorities”. “We have not been able to make contact with him since he let us know about this,” she said. Mr Kovrig has been working since February 2017 as a senior advisor for ICG, a Brussels-based think tank that focuses on conflict reduction research. He is on special leave from Canada’s ministry of foreign affairs and does not benefit from diplomatic privileges. He was posted as a diplomat in Hong Kong and Beijing between 2012-16. The state-run Beijing News newspaper has reported he is being held “on suspicion of engaging in activities that harm China’s state security”. 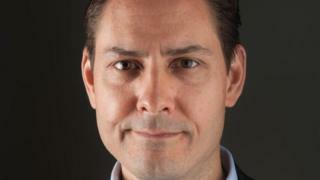 A spokesman for China’s foreign ministry said on Wednesday that he had “no information to offer” on Mr Kovrig’s case. He also claimed that ICG “has not legally registered nor submitted documents for the record in the mainland of China”. ICG said in a statement that Mr Kovrig is known for “his rigorous and impartial reporting” and is a “noted and sought after contributor on security issues in North East Asia, particularly relating to China, Japan and the Korean peninsula”. An ICG spokesman said that the organisation has had a presence in China since 2007 but closed their Beijing office in 2016 due to changes in Chinese laws around NGOs. Mr Kovrig is based in Hong Kong, but ICG says he regularly visits Beijing to meet with officials and to attend conferences at the invitation of Chinese organisations, and has made frequent appearances on Chinese media.